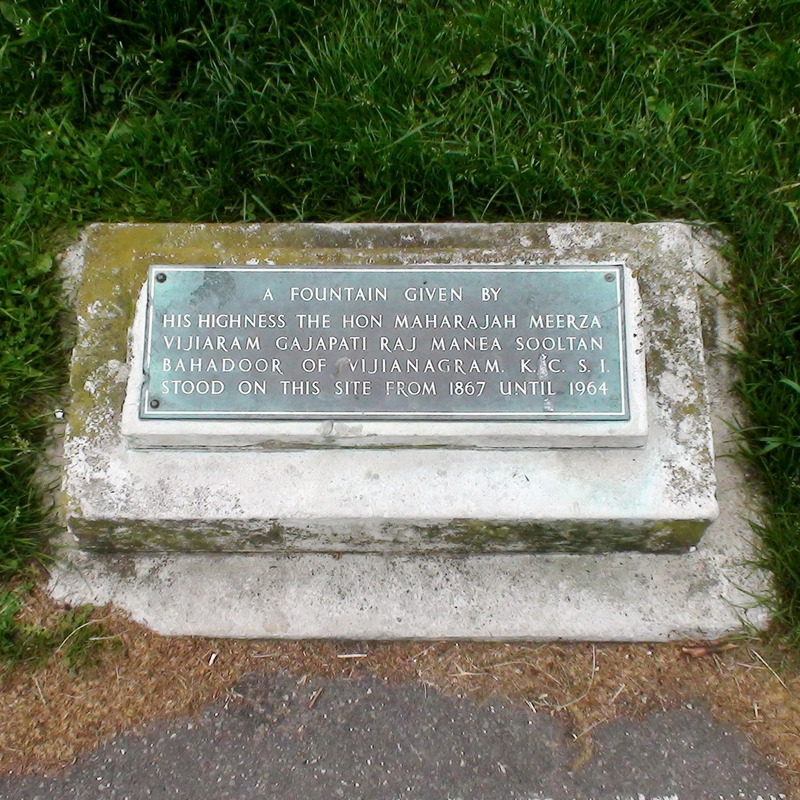 A fountain given by His Highness the Hon Maharajah Meerza Vijiaram Gajapati Raj Manea Sooltan Bahadoor of Vijianagram. K. C. S. I. stood on this site from 1867 until 1964. Here we have a plaque commemorating a lost fountain. It was only removed in 1964 so we are surprised that we can find so little information about it. It was a splendid Gothic extravaganza so mostly we want to know why it was removed and where it went. Also, what was inscribed on it? Was it a memorial to anyone or anything? Few fountains erected at this time were there simply to provide refreshment.